In the previous tutorial, I introduced to you all an overview of JPA Query Language to manipulate database types using entities. Whenever you need information from the database, you will use the SELECT or UPDATE or DELETE statements and the entity name to build into the query, then retrieve the Query object from the Entity Manager using this query, and finally, call the appropriate method according to your needs from this query object to get the result you want. Many steps need to do, don’t you? If you use JPA with Spring framework in your project then just try to use Spring Data JPA! It will help you minimize the work to be done in some cases. How is it in details? 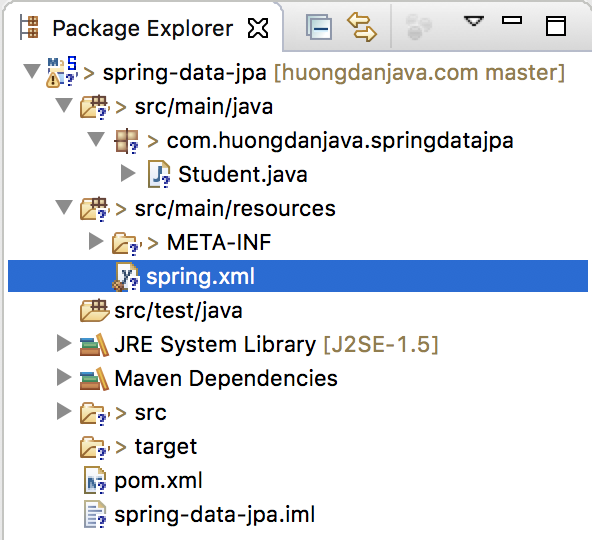 In this tutorial, let’s learn about Spring Data JPA. OK, so we have just finished for preparing. You can refer to the tutorial about JPA and Spring framework at here. Now we go to the main topic of this tutorial. First of all, you need to know that Spring Data JPA is a small module in a large project called Spring Data project. The purpose of the Spring Data project is to minimize the repetitive code involved in accessing and manipulating data management systems when developing applications that use the Spring framework. In addition to Spring Data JPA support JPA for minimizing code to access and manipulate database management systems, we also have Spring Data JDBC (like Spring Data JPA), Spring Data LDAP (support Spring LDAP), Spring Data MongoDB (support for MongoDB), etc. You can find all Spring Data modules at here. T is the domain class that the repository will manage. ID is the data type of the ID of the domain class that the repository manages. Here, we will have more interfaces that extend from the Repository interface depending on the module we use, but since we are discussing the Spring Data JPA then I will only list here an interface that extends the Repository interface which Spring Data JPA is in use. That’s the CrudRepository interface. CrudRepository interface with the meaning of creating, reading, updating, deleting allows us to perform basic operations on data systems, data systems here you have to understand in broad meaning that it is not just database. To support paging and sorting for Spring Data JPA, we have to mention another interface called PagingAndSortingRepository. All of the above-mentioned interfaces are in the Spring Data Common module. OK, so let’s take an example with the JpaRepository interface to see how it works. The domain class here is the Student entity and Long is the data type of the properties in the Student mapping entity with the primary key column in our student table. 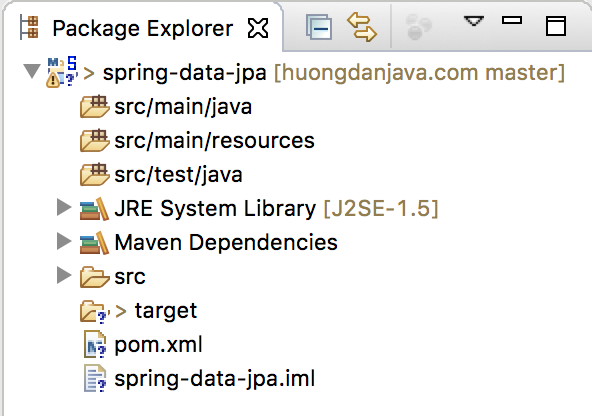 Here, I use the java namespace jpa:repositories with the base package com.huongdanjava.springdatajpa to scan the HelloRepository interface. With this declaration, the Spring Data JPA automatically retrieves the object that implements HelloRepository interface, SimpleJpaRepository, as you see in the image above to initialize this object in the Spring container. Since the object SimpleJpaRepository using transaction, you need to declare more transactionManager bean into Spring container. OK, here we have completed the necessary configurations. Now, let’s try it out. 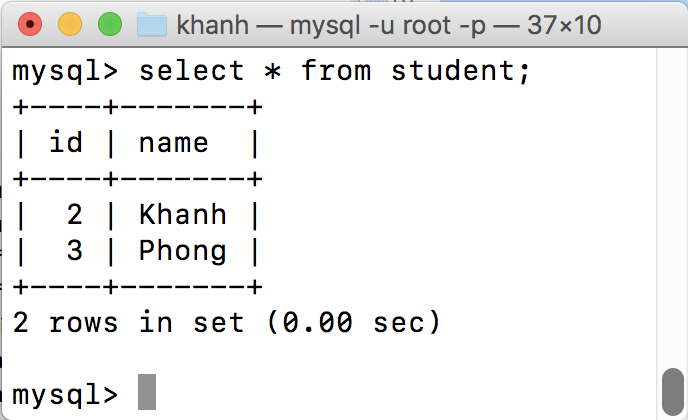 As you can see, although no class implements the HelloRepository interface, we still query the student table by column name. Reduce a lot of code that we need to do, don’t you?